The latest not-really-that-important web statistics show that Google’s GMail web mail service is now the third largest in the US. What’s more surprising is that it had to overtake AOL to get there. AOL? Why do so many people still use AOL? The portal strategy is a relic of the late nineties, a leftover from newspapers blending content for mass audiences. Companies who continued to pursue that strategy, most notably Yahoo and AOL, have rightfully been labelled relics as well. 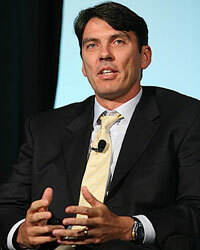 That’s why I’m happy to hear that AOL CEO Tim Armstrong, who jumped to the troubled tech titan from Google just over a hundred days ago, sees the folly of the portal strategy. Acknowledging the fragmentation of media, the very phenomenon that makes Google search so valuable, Armstrong is pushing two very modern ideas within the company: niche content and superdistribution. He properly positions the former to provide depth, and the latter to provide speed. If that strategy sounds familiar, that’s because it’s the strategy of a good blog network. AOL is about to spin off from Time Warner through an IPO; the company needs a conrete direction and a fresh perspective to attract investors and survive the spinoff. You know the portal strategy is dead when your grandmother’s dialup ISP abandons it. AOLâ€™s MediaGlow has introduced a new feature on AOL News that provides information and news about philanthropic efforts across America, as well as the latest scientific information and advice about the benefits of living a philanthropic lifestyle. The feature, created in partnership with Philanthropy Project, is the latest in a series of AOL News launches across various special-interest areas that deliver top-quality breaking news. A proprietary feature of the philanthropy news site is the GlowMeter, a quiz that reveals usersâ€™ philanthropic â€œcolorsâ€ and matches them to GlowMates — others who are participating in like-colored philanthropic efforts in the usersâ€™ communities. At launch, the site will highlight 11-year-old philanthropist Zach Bonner, who is walking 668 miles, from Atlanta to the White House, to rally support for homeless kids in America and youth volunteerism. Visitors will be able to track Bonner every step of the way through GPS technology and video feeds from the walkathon. In 2005, Bonner founded the Tampa-based Little Red Wagon Foundation. He is the basis of an inspiring, family movie being produced by Philanthropy Project. 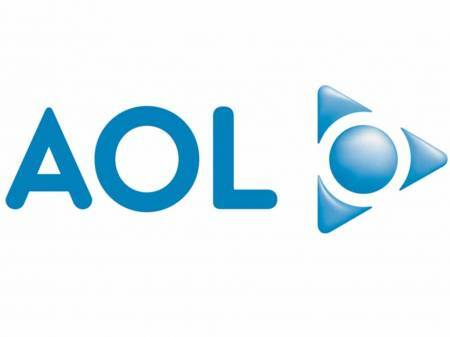 AOL UK today announced the beta launch of its new homepage that will let consumers access multiple e-mail accounts and social networking services from a single online destination. The new AOL.com homepage will be opened to third-party services and content, providing consumers with new customization options while offering advertisers new opportunities to tap into an increasingly engaged audience. The site is part of the ongoing strategy of AOLâ€™s MediaGlow publishing division to expand globally, including the launches in the UK of menâ€™s lifestyle site Asylum, WalletPop, Autoblog, and Flytrap Games. Some of the innovative features include AOL UK users being able to check their Google Mail, Hotmail, Yahoo! Mail and of course AOL Mail e-mail accounts, in addition to seeing their online buddies via AOLâ€™s AIM service. From the AOL.co.uk homepage, users will also be able to post status updates to multiple social networks, and access profile activity information, including new friend requests and mail notifications, from services such as AIM, Bebo, Facebook, MySpace, Twitter and other third-party sites in the future. In the UK, social sites account for one in every six minutes spent online, according to a recent study. AOLâ€™s MediaGlow expanded its year over year consumer reach in March with pageviews climbing 13% to reach 6.4 billion and total minutes increasing 9% to 4.3 billion, according to March 2009 comScore Media Metrix data. In addition, the AOL.com site, which in 2008 opened to third-party content, e-mail, social networks and more, grew 7% in page views and 26% in total minutes year over year.